On June 21, SHPE Board Members went together to Reds Game. It was a very long game, but the most important thing was that Reds won! 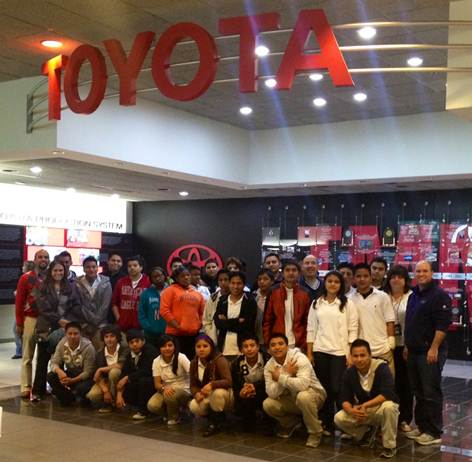 On May 6th, the Cincinnati’s chapter of the Society of Hispanic Professional Engineers (SHPE) hosted its 1st TOYOTA Plant Tour as part of SHPE STEM initiatives for Hispanic children in the Greater Cincinnati region. A total of 10 students from the First Lego League Robotics initiative at the Academy of Multilingual Immersion Studies (AMIS) and 18 students from the SHPE Jr. Chapter initiative at Withrow University High School participated on the tour. The adults in attendance were 4 SHPE Cincinnati Board Members and 1 Teacher from Withrow. The kids were able to see first hand how their experience with robotics competition can be utilized later on in real life with real indurstrial robots. It was a great experience for them, and a great motivation! We would like to thank Toyota for making it possible! On December 3rd, Cincinnati’s chapter of SHPE hosted its networking meeting at GE Aviation. The keynote speaker was Ms. Jeanne Rosario, Vice President and General Manager at GE Aviation Engineering, who shared her experiences and views on importance of volunteering and support for STEM. 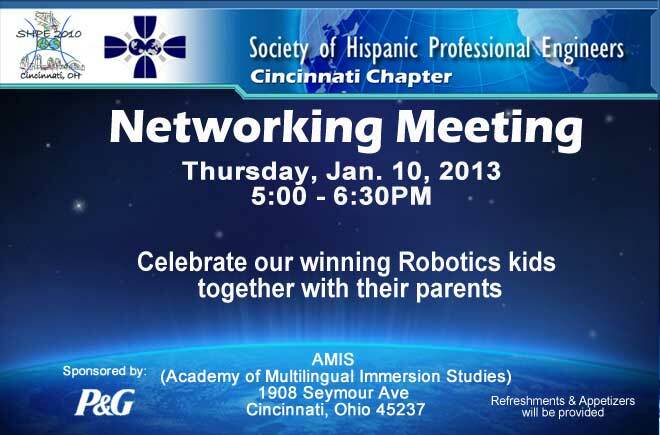 Jorge Seda, the President of SHPE Cincinnati, presented STEM initiatives for Hispanic children in the area, specifically the Robotics competition and the Science Night event. He also presented the extended Executive Board of Directors. 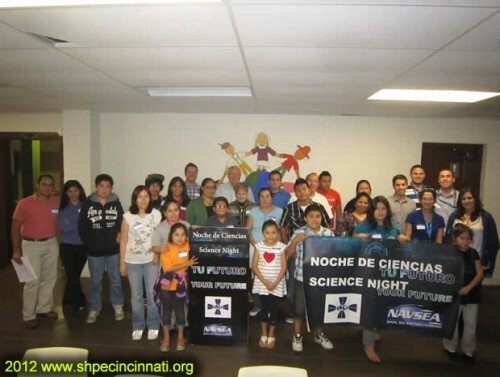 Our first ever "Noche de Ciencias" event was a great success, with many children and their parents participating. They've learn more about STEM (Science, Technology, Engineering, and Math) topics, and about the opportunities at the college level in the STEM area.